1 part and 1 pocket with zipper. 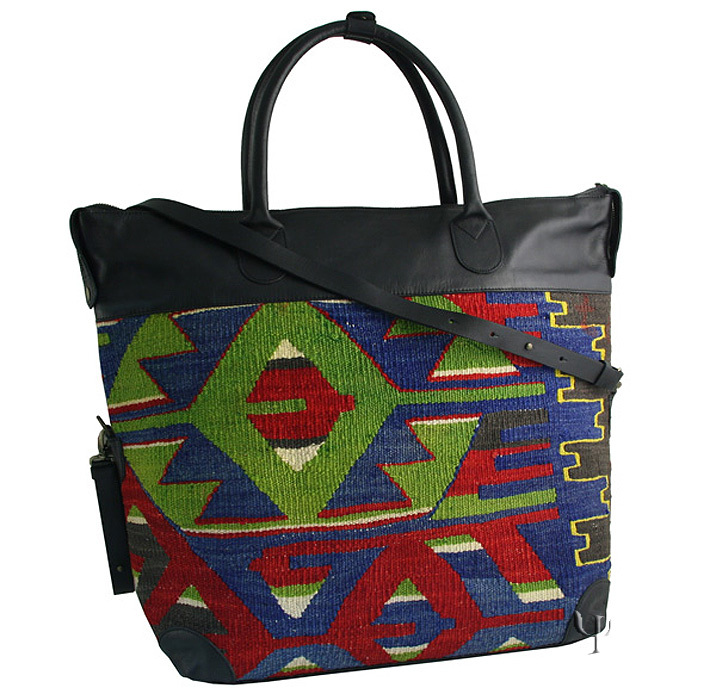 Kilim bags are cut from handmade original old kilim rugs. So each of them is unique and hand trimmed with supple conker leather.